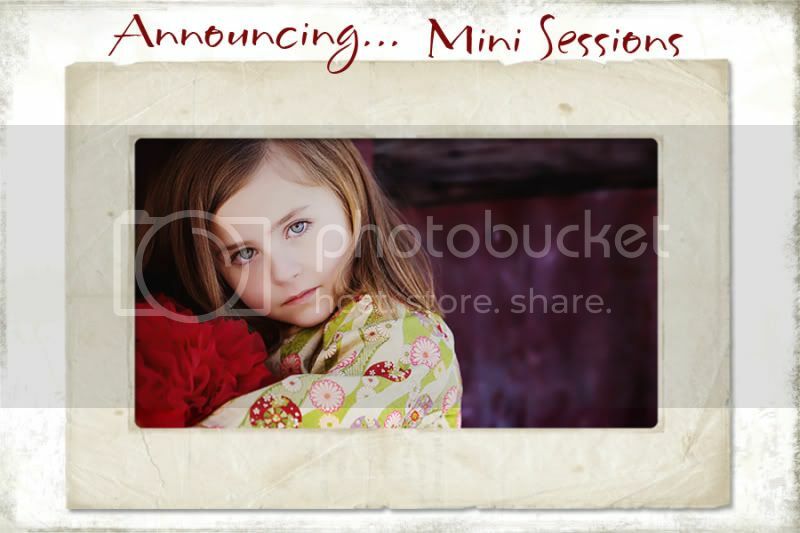 First time offering mini sessions, for those who have asked, here it is. This is the time to consider updating just those individual portraits of the children or focus solely on that family shot. Mini sessions include a 30 minute location session for up to 2 children (immediate family only). Let me know if you have more than 2 children to see what I can do. The COST: $235 sitting fee, due at time of booking. The Goods: You will receive a complimentary 8×10…YEAH! and the high res negatives. After the session… You will receive an online gallery with 10-15 of your best images to order your complimentary print. You will have 5 days to place your order from your online gallery. REMEBER: These sessions will book quickly.